Olivia is an Independent Consultant / Director of Peace in Design Consulting Ltd / Co-Founder of Trailing Seeds / Former Consultant, Emergency Department – West Bank / Gaza Strip Desk, Food and Agriculture Organization of the United Nations. 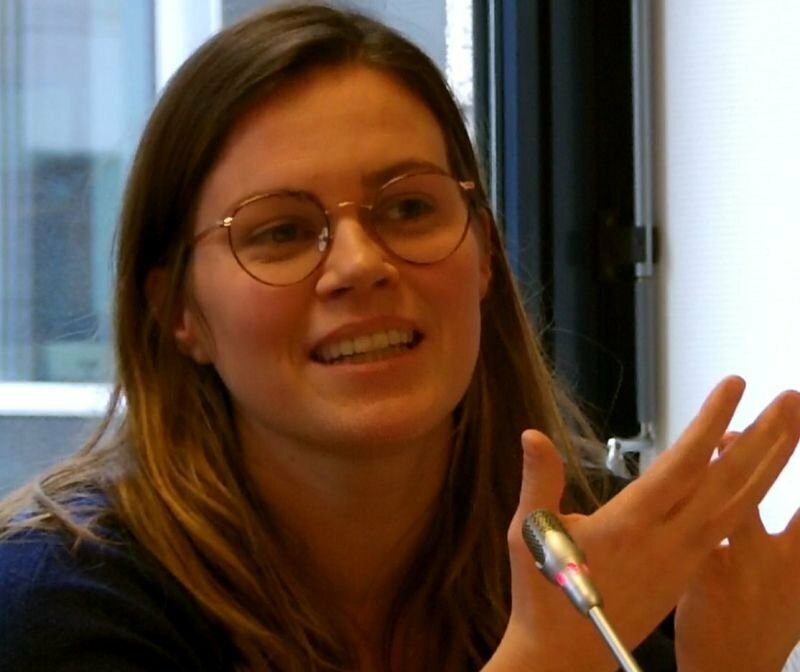 She is also Policy Officer at the European Institute for Peace (EIP) focusing on preventive diplomacy, mediation track inclusivity and European peacemaking policy. She also acts as the EU focal point within EIP. Olivia has over ten years of experience working in mediation, peacebuilding and stabilization. Prior to working at EIP, she was running her own consultancy and undertaking deep field missions on behalf of the UN, the EU and various NGOs in the Middle East and in various parts of Africa. In her most recent missions, she has been working on developing the national PVE strategy in the Central African Republic as well as on research regarding the links between livelihoods, displacement and conflict in the Syrian refugee crisis. Throughout the last four years, she has also worked to create integrated approaches between environmental regeneration, and multi-track conflict mediation. Olivia holds a dual Masters’ degree in International Security and International Political Economy from Sciences Po Paris and from the London School of Economics. She is fluent in French and English, has a working knowledge of Spanish, Italian and an intermediate knowledge of Arabic.